Lunch in Juarez at Lucerna Comedor. All photos by Daniel Schwartz. How do you take in the Western Hemisphere's second-largest city in just a few days? 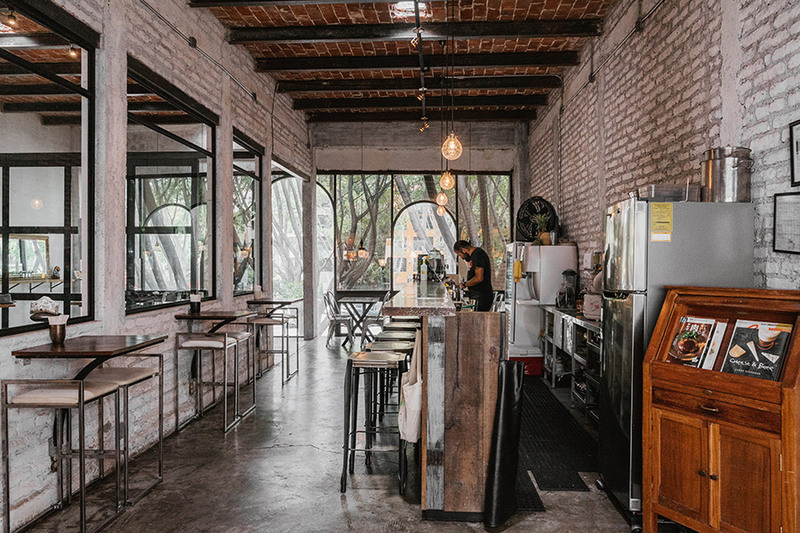 Make your way through landmark neighborhoods for a taste of what’s noteworthy in CDMX. MEXICO CITY – Visiting a new place in a short timeframe is always overwhelming, especially when that place is Mexico City. The mile-high metropolis, known for its gastronomy, culture, and arts, is also the World Design Capital for 2018, the first city in the Americas to earn such a distinction. And it shows. 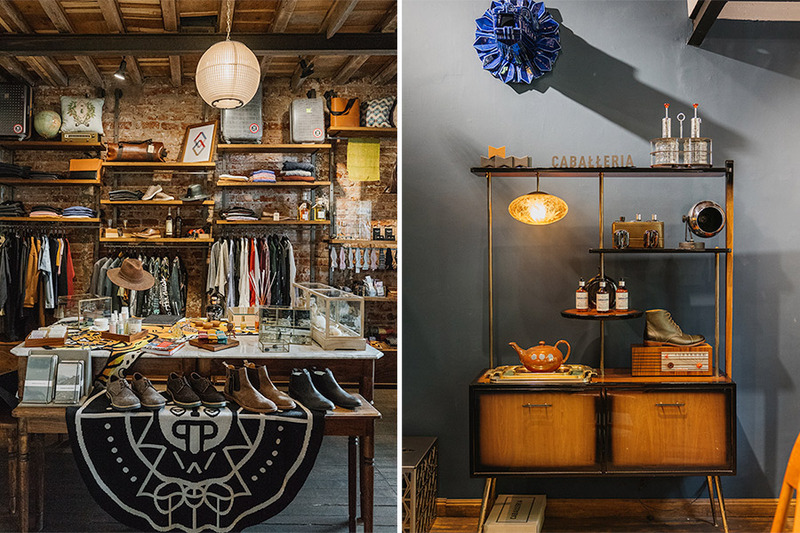 Neighborhoods are changing, boutiques are opening, style is on the up-and-up. The city even underwent a name change from Distrito Federal (DF) to Cuidad de Mexico (CDMX), as part of a 2016 measure that gave it more independence from the federal government. Here’s what I saw, did, and would recommend based on my three-day introductory trip. La Barra de Fran in Polanco. Photo courtesy of La Barra de Fran. 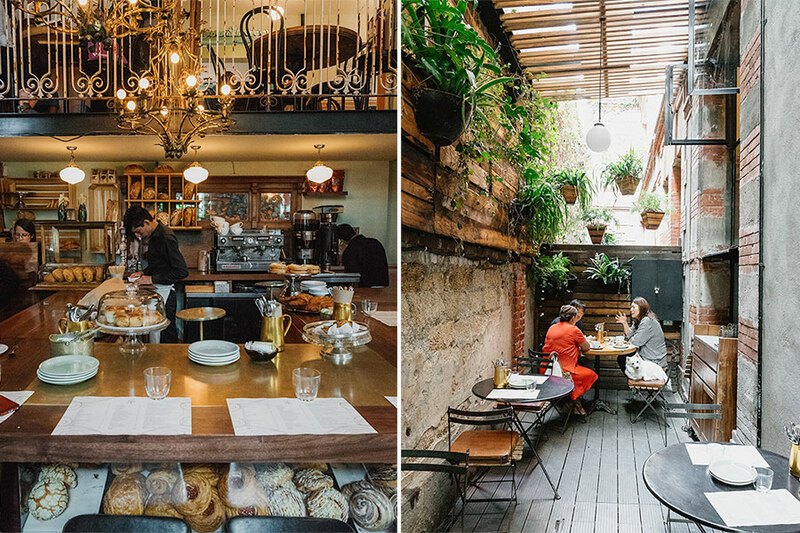 Plan to stay a while at Cafe Nin, the charming new cafe from the venerable bread makers at Panaderia Rosetta. 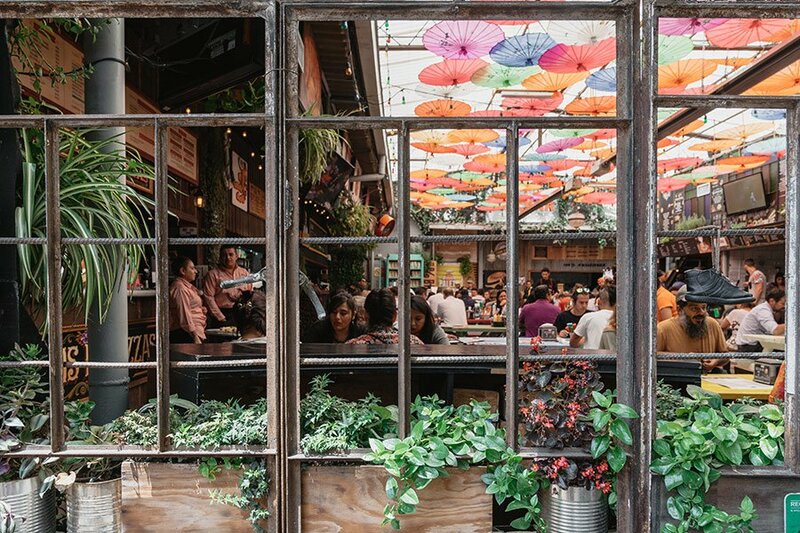 The menu is extensive — my favorites were the guava roll and the scrambled eggs in spicy tomato sauce with the aromatic herb hoja santa — the space is beautiful, and the drinks list looks good, should you make it there for brunch. Lunch is the biggest meal of the day for locals, but, with limited time and a packed itinerary, I stuck to the grab and go model at some old-school spots — tortas de pavo (turkey) at El TacoTaco (Dolores 56, Centro; no phone), tacos al pastor (pork) at El Fogoncito, and tostadas de pata (beef knuckle) at La Chaparrita (Ignacio Allende 59, Coyoacán; no phone) in Mercado Coyoacán. When I did sit down, it was for seafood tacos at Lucerna Comedor (Calle Lucerna 51; +52-55-5535-8665), an of-the-moment food hall in Juarez. Is it bad that my favorite meal in Mexico City was at a Spanish restaurant? Maybe it was the atmosphere — sidewalk seating, jamón hanging over the bar, suits smoking cigars, groups finishing lunch (read: drinking) at 7:30 p.m. Or maybe it was the table spread: croquetas, chistorra (a Basque cured sausage akin to chorizo), much-need salads, salt-baked fish, and a tray of aged meats that you cook yourself on searing cast-iron skillets provided by the kitchen. Either way, La Barra de Fran in Polanco did not disappoint. My heart belongs to Xaman, a laid-back cocktail bar where incense and indigenous ingredients come together to a form a spiritual drinking experience. Over at Casa Franca in Roma Norte, on the second floor of an old, beautiful house, jazz takes centerstage while locals sip cocktails in salon rooms and on outdoor terraces. Next time, I’ll catch a weekend dance party at Patrick Miller, one of the few inclusive megaclubs where you don’t need a smoking hot posse just to get through the door. 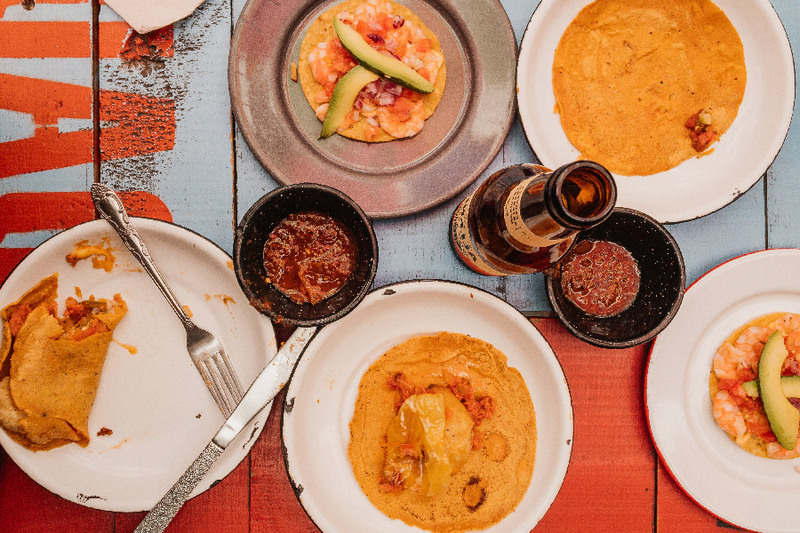 Chef Gerardo Aguilar, known for throwing experimental pop-up dinners around the city, finally has his own space in Colonia Doctores. It’s called The Hidden Kitchen, and it’s just that — a clandestine industrial kitchen with a table in the back that can seat ten. 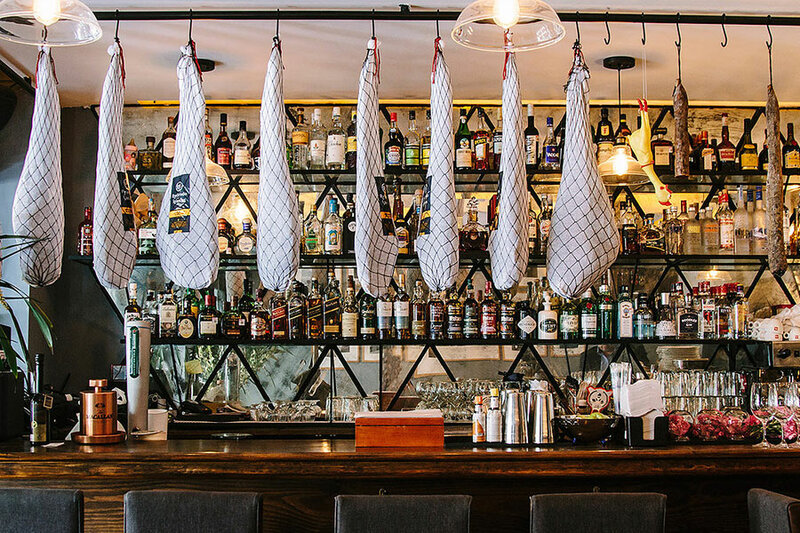 A meal here is a private experience, which means the menu is tailored to your party (we had a six-course gourmet taco meal), and you’re free to get up and ask the chefs questions while they cook. Arrange a reservation ahead of time. It’s totally worth it. Common People Man (left) and Casa Caballeria (right) in Juarez. Inside the second-floor Japanese restaurant at Loose Blues. Street art at Comedor de los Milagros (left) and Colonia Roma Norte (right). I’m hooked on Juarez, the up-and-coming colonia folks are calling the next Roma. Populated with French-inspired mansions during the days of Porfirio Diaz, adopted by artists after land-use changes, then left for dead following the 1985 earthquake, the neighborhood is back on the scene, touting cool concept shops, art galleries, third-wave coffeeshops, and trendy restaurants. That, and the occasional abandoned building recall parts of Brooklyn — with a European twist. Taking advantage of Mexico City’s more affordable prices, I restocked my wardrobe at Casa Caballeria and Apartment25; picked up some pieces from a Japanese boutique / vintage store / restaurant called Loose Blues; and scored a haircut, beard trim, and facial at La Logia Barberia for $30 USD. There are tons of independent galleries in Mexico City, and I only had enough time to stop into two of them in Juarez: Guru, a pioneer design gallery and shop with a fun, free-spirited vibe, and Marso, an international exhibition space inside a beautifully decaying turn-of-the-century mansion. Between Palacio de Bellas Artes and Museo Frida Kahlo, which are both very popular (and for good reason), these off-the-beaten track spaces were a breath of fresh air. Getting up early to watch breakfast being made at Churreria El Morro was a tourist move — locals don’t really eat four churros and creamy hot chocolate first thing in the morning — but it was delicious. Getting a lay of the land from the Aztec ruins at Templo Mayor was a great way to wrap my head around the ancient city. Lucha Libre at Arena Mexico was beautiful madness. A luchador took down a midget in a gorilla suit. The crowd cursed him out and threw candy at him. Another wrestler threw a cup of beer at him. But the thing that left me most puzzled: Where was Kenny from The Bachelorette? He was scheduled to fight, but was nowhere to be seen. Juarez, Roma, and Condesa have some great street art. 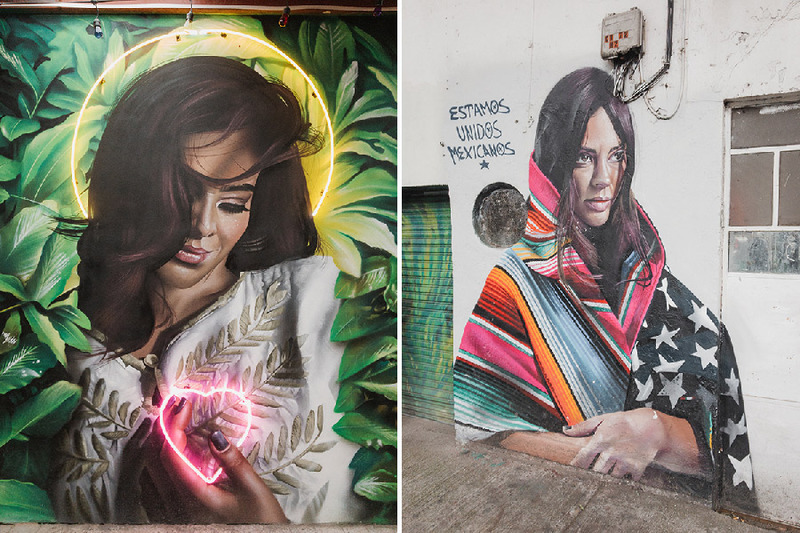 On a walking tour with street art collective Street Art Chilango, we saw a few of their favorite pieces (which you can find on this Instagram feed), including a third and most recent mural of Frida Kahlo, located in the new Comedor de los Milagros food hall in Roma. 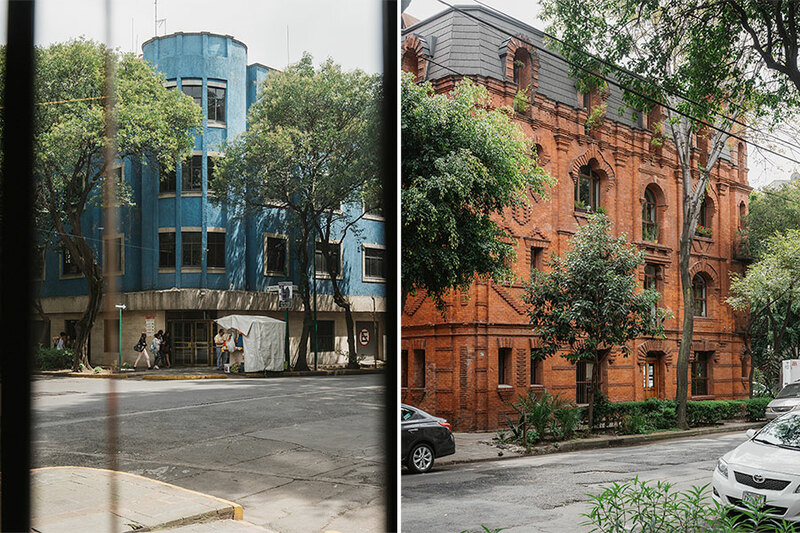 Home base was the hip, 36-room Hotel Carlota, a once-popular neighborhood motel redesigned by lauded local firm JSa Architectura, located down a sleepy street in Colonia Cuauhtémoc. With an in-house design boutique, a centerpiece glass-walled pool, a seasonal Mexican restaurant from Pujol graduate Joaquín Cardoso, and ultra-modern rooms featuring upstair patios with hammocks, it’s a good barometer of what you’re now able to find in Mexico City.